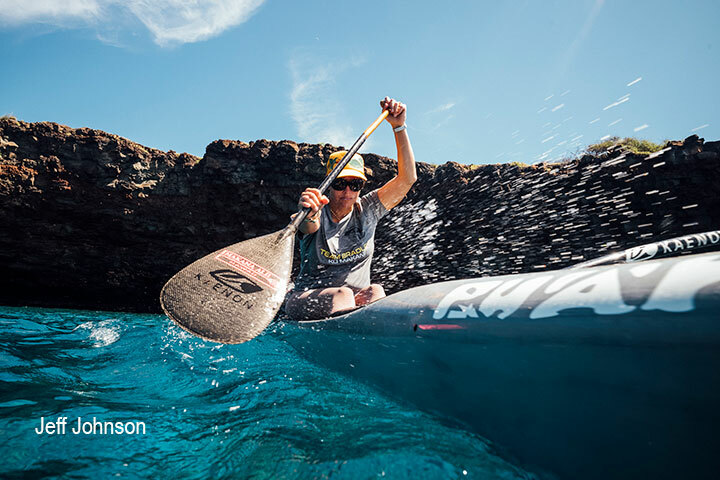 Andrew Schoenberger expertly highlights the indomitable spirit of Champion paddler Lauren Spaulding in his movie, Lean Against the Wind. Through interviews with Lauren, her family, and friends, Schoenberger invites us in to see what goes into the making of a true athletic champion. Growing up in Hawaii, Lauren's father took her out canoeing at the age of 3, and at the age of 9 she was paddling around Maui, learning how to deal with the Tradewinds, currents, and waves. The Waikiki Surf Club organized the first Molokai-Oahu race in 1952 to emulate what Hawaiian warriors would have done to get from island to island. Run by 6-man canoe teams, the 40.8 mile trek is called the "Mt. Everest of canoe racing," by big wave pioneer Dave Kalama. The first time Lauren entered the race, she beat the record by 15 minutes. She has gone on to win 12 out of 13 solo Molokai races, and her team has won 10 Molokai Team Championships. She participated in the Summer Olympics in 2014 as a representative of the USA.